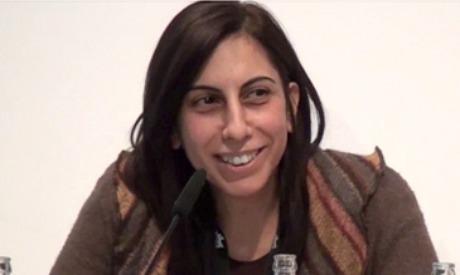 Hala Galal is an Egyptian director and producer who has directed over 18 movies and produced over 15. Galal has participated in a number of international film festivals where she gave talks and was a jury member. She is also the executive director of SEMAT Production and Distribution, an organisation that offers workshops for filmmakers and supports independent cinema. The filmmaker has also taught film courses in Egypt, Bahrain and Sudan. She was chosen by the Panorama of the European Film to select a movie she finds influential to her career, to be screened as part of Carte Blanche section. She chose Aki Kaurismaki’s Le Havre, which was screened twice during the festival followed by a Q&A session with Galal present. Ahram Online (AO): You have participated in many festivals abroad, in Bahrain, Berlin. What does it mean to you to be part of a group of directors who select movies at the Panorama this year? Hala Galal (HG): I am very happy they invited me to do this. I love this festival. And European cinema has a particular taste that does not come to our country a lot. It is very important that they opened a big portal for European cinema. I organised before a festival called the Caravan of Euro-Arab Cinema for three years, and Marianne Khoury was invited to talks in it. We have a similar taste. We like a kind of movie that never comes to our country. So when they invited me to choose a movie and talk about it, and I found Amr Salama too and Mohamed Khan, I was flattered. It was a very nice experience, especially that it was a nice, cultured audience who attend. Also, being in international festivals is instructive. One sees movies that you can never see otherwise. I was part of a small committee in the Berlin festival that was a documentary jury. Also, next month I will be part of a jury committee in Jordan, in the Karama Festival for short feature films. I was also a jury member in Palermo for student films. I also do workshops for how to make films or how to make an application for your movie for fundraising. I like the behind-the-scenes of cinema too; how to teach people to make movies and to debate about our ideas, to play, just like the man whose film we were watching. It is a nice and entertaining game, even if we discuss philosophy, history, poetry, good and bad, love and hate, death and life, it can be done by playing, so everyone will be happy. AO: We saw the different style of the director. Why did you choose Le Havre in specific? HG: I really like how the director tells his stories and the way he draws his characters. I like the hidden jokes in his movies. Also, I like that he is encyclopaedic in his knowledge. He has a relation with literature, philosophy, theatre and brings all this into the joking that he does. Like the dying woman at the hospital whose neighbours are reading Kafka for her, or the inspector who is a parody of the inspector in The Brothers Karamazov. Things like that add richness to the movie. Moreover, Kaurismaki tackles very humane issues: the right of refugees to reach safe shores; the fact that we should help them arrive. Before writing the story and drawing the characters, he visited all the port cities where he wanted to tell his story. He has a concern with inspiration and the sources of creativity that he reflects in his stories too. As we saw, the hero of the film is a novelist who cannot find ideas, so he decided to be shoe-shiner in a small port city. It is an idea that contains something brilliant about the human being’s relationship with himself, with the world, with creativity — the relationship between the artist and the people. HG: It depends on the viewer and there are different levels of reading in Le Havre. A person might know nothing about Russian literature, about world cinema, or the history of cinema, or about music. He will see the movie on a primary level, watching a family or social comedy/drama. But another viewer will understand how the director uses all sources of knowledge to tell a story that is simple in the end. He is a man who likes fun, in a philosophical sense ... Even the main character called Marcel Marx is a parody of Karl Marx himself, the famous philosopher. I like the way he thinks. AO: To what extent do you have particular interest in movies that have a human side? HG: I like directors who think like philosophers and poets. I like a director that does not tell me a story just because it is similar to what happens in the street. I want to discover his opinion of life. Not that he teaches me a lesson, not in the sense of “movies with a cause.” But I’m talking about a person who thinks about the world. Imagine if Kafka was a filmmaker. We would have loved to see his movies like we loved reading him. Such directors use cinematic tools to tell their points of view. They do not let someone teach a lesson or claim to adopt “clean cinema” or “family movies.” They tell us how they see the world. You feel that their movies carry a personal signature. AO: Do you do this in your movies? HG: I try. Once somebody said something very important: that he saw great movies and then understood he will not make great movies! I have done short movies, I never did long feature films, so I cannot be compared to those directors. But I try to think of the world, of myself, and of the people. There is a style of filmmaking where the filmmaker tells [the story of] himself, gives his point of view. It does not matter the topic of the film; what matters is how he tells it. AO: Many of the movies that you made revolve around women. Is it a main concern of yours? HG: Yes, I was very much interested in that. When I work on documentary movies, I tackle topics that are not generally talked about. All the discourse about women in our country in the media tarnishes the image of women and addresses the issue in a wrong way. This, since I was young and started to make movies, made me feel that I wanted to do something different, so I made movies about violence within the family, especially targeting women: husbands who beat up their wives, fathers who beat their daughters, and women who beat up maids. There is violence inside homes that no one talks about. It happens across all social classes, rich and poor. AO: There are also women of different generations in Women ChitChat, a film that brought you a prize in the Rotterdam Arab Film Festival. What is your focus in this work? Women ChitChat is about different generations in one family, where women tell how they made choices that affected their lives: education, marriage, work, travel. In fact, I love this family a lot. The four generations are from the same family, but their choices are very different, from the one who grew in the 1920s, the grandmother being the oldest, to the young girl who grew in the 2000s. For example, the young girl is veiled, her mother who is in her fifties is veiled, and the grandmother in her seventies not, and the grandmother in her nineties is not. It tells you something about society. They are all brave women who work: beautiful, smart and great at what they do. But the religious choice showed how society pressures women a bit. I do not mean they are veiled by force, but I mean that the choices are not free, not personal and not independent. AO: What do you like the most about making documentaries? HG: I like to see real people as they talk on camera. I like to film them as heroes, like I would film Soad Hosni. It is a game I like to play. I also like feature films too, I've done short films. But there is something very touching about documentary cinema, when you see suddenly the man or the women of the street as protagonists on the screen. It is fun. AO: Almost all the movies you made are considered independent movies. Is this because you prefer independent cinema? HG: All the production came from institutions that either support cinema or the issue of women. Women ChitChat was produced by Misr International, which is also a private institution. I did not work with a fund from the Egyptian Ministry of Culture or the National Centre for Cinema. The movies I would like to do, governmental institutions might not want to produce. The idea of “independent cinema” came later. SEMAT institution, which stands for Independent Filmmakers for Production and Distribution, was a forum we created with five of my colleagues who are directors, 15 years ago. SEMAT’s aim is to create a new platform, a forum for young people to encourage them to make the movies they want to do, not what the audience wants to see or what the producer wants to produce. This is not an animosity towards the producer or the audience, but it is to elevate the value of the movie as the word of the director. Movies are supposed to be an addition from the mind of the director to society, or to the audience of a topic. But what happens in mainstream cinema is that it is either propaganda, not just for the powers that be, but for all socially rooted concepts — this kind of indirect censorship — or it is creating cinema that entertains. I am not interested in any of those. With SEMAT, we started to look for paths to fundraise movies freely, anywhere, whether via a charity organisation, a cinematic institution, or a festival that will offer a prize. The important thing is that funding does not control the ideas we want to present in a movie. This pushed us to make cheap movies. It was not a decision per say, but it also came to be convenient amid the country’s economic situation. It does not make sense to make a movie that costs LE40 million when people are hungry. It is just not normal. Ahram Online is the main media sponsor of The Panorama of the European Film and of Zawya.